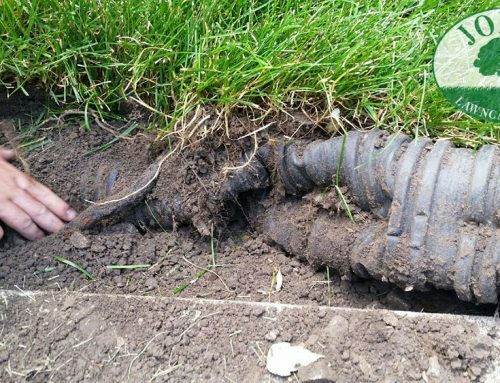 After photos of our most recent drainage job. 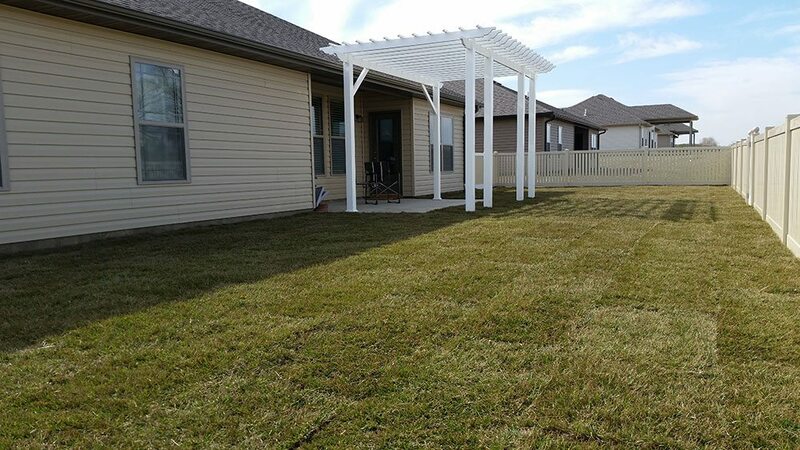 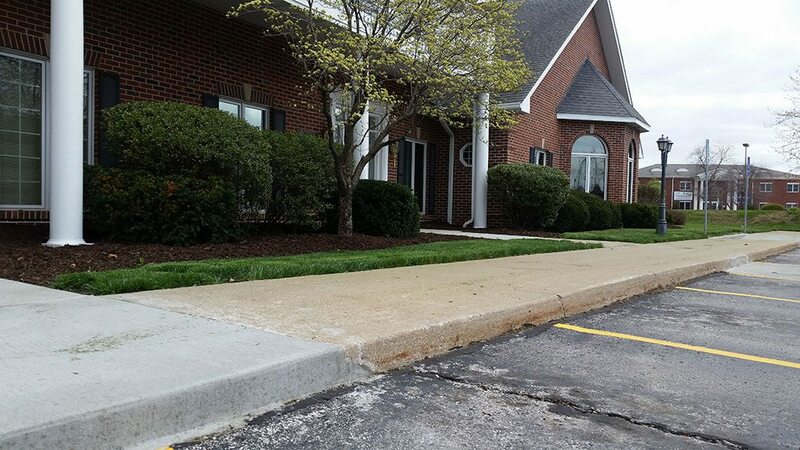 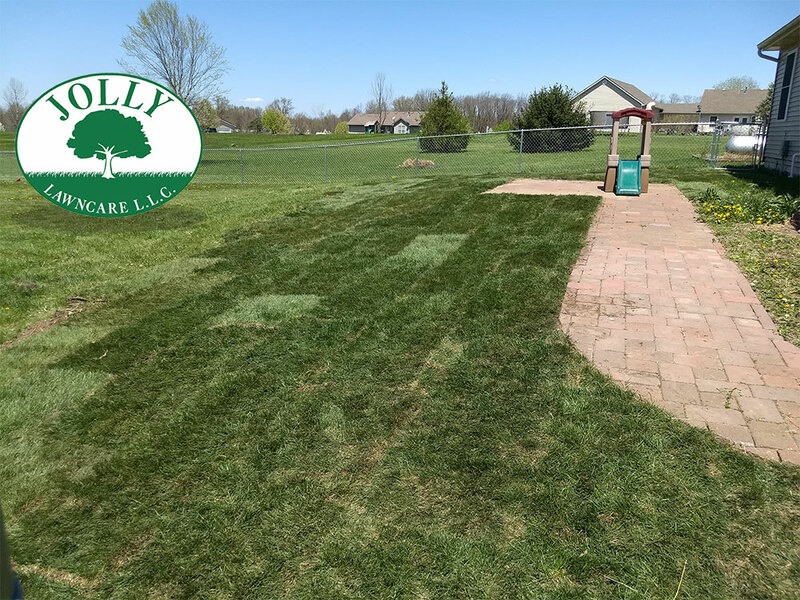 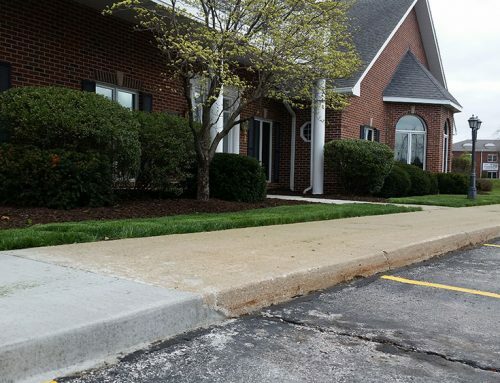 We installed a french drain, routed downspouts, soil conditioned and amended the soil to improve the amount of organic matter and sodded with Fescue. 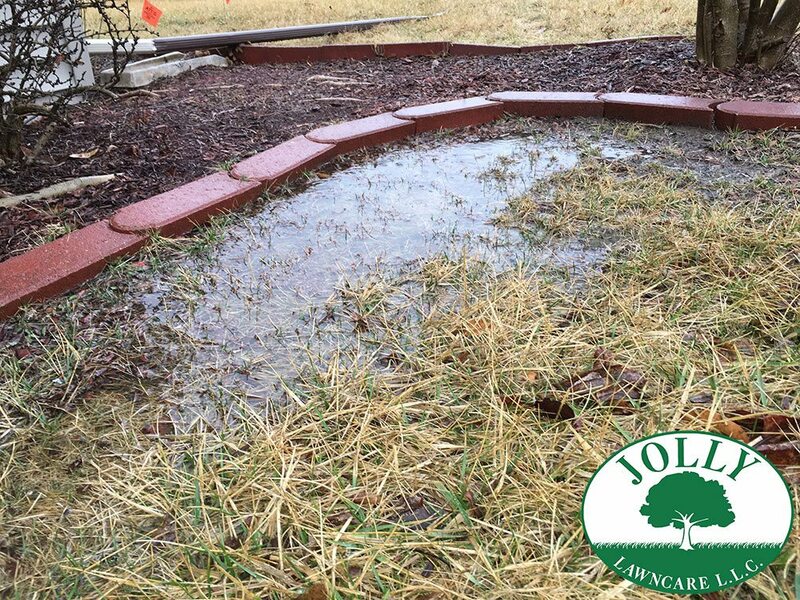 Amending soil means to add compost/nutrients to get more organic matter into our clay soil which can be an issue in Missouri. 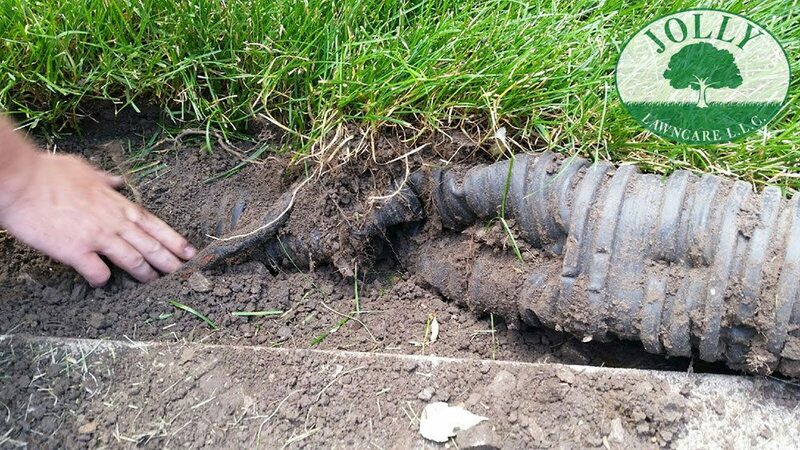 Many times the organic matter is not adequate and this is one way to improve that. This clients back lawn became very soggy after heavy rains and the homeowners pets would have muddy paws from the lawn conditions. 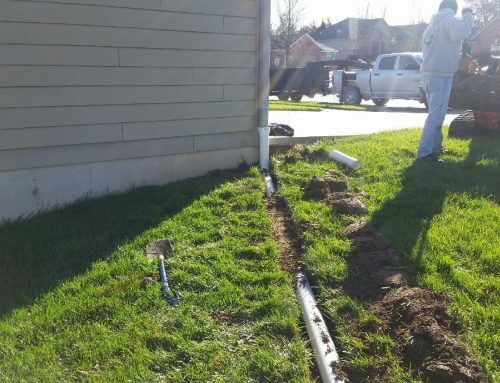 First we routed the downspouts to flow off to the street to not further compound the problem of a mostly flat lawn with minimal drainage. 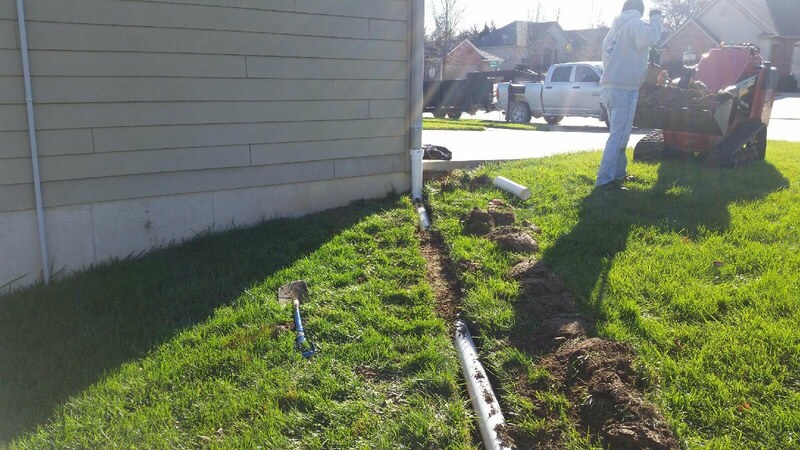 Next, we installed a French drain in the lowest portion of the lawn to collect the surface water and send it off to the street as well. 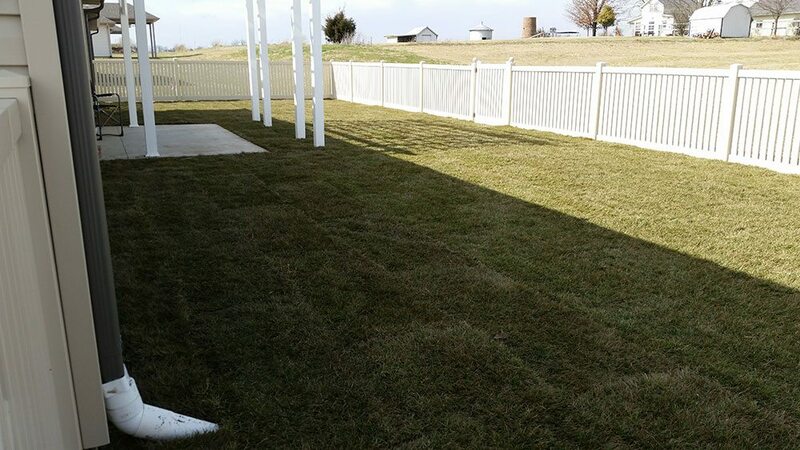 We then installed sod for the homeowner and four legged friends to enjoy in their now dry back lawn.